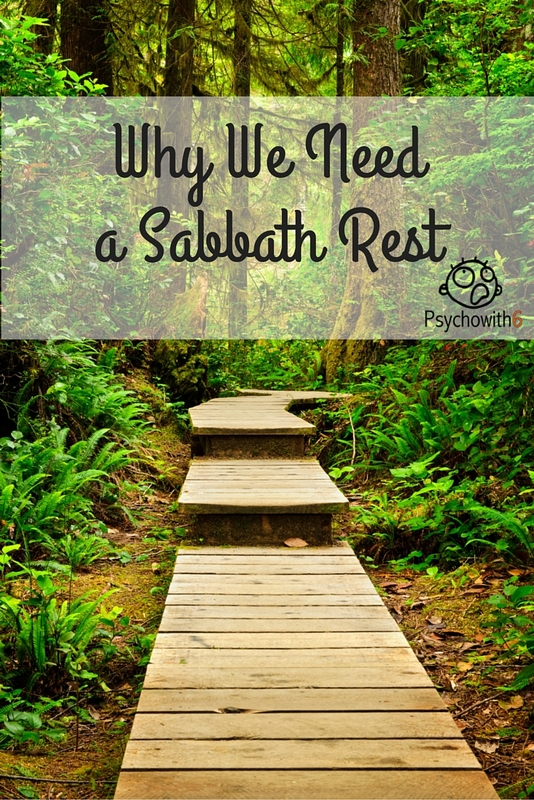 This is a guest post by my friend, Sharla Fritz. Be sure to grab your copy of your free lesson in achieving a more focused life here. Last year started out with grim news. My husband was diagnosed with lymphoma. It was a shock for this guy who never takes a sick day. He never had any symptoms. He didn’t feel ill. Soon all of our to-do lists were relegated to the garbage can. Instead of our usual work and social activities, our schedules were crammed with doctor visits, tests, and treatments. Our over-packed lives had to make room for more important things. I personally needed to weed out the frivolous to find time for what was necessary—being available for my husband. Thankfully, after six-months of chemotherapy, I can say my husband is doing fine. The treatments worked and he is now in remission. 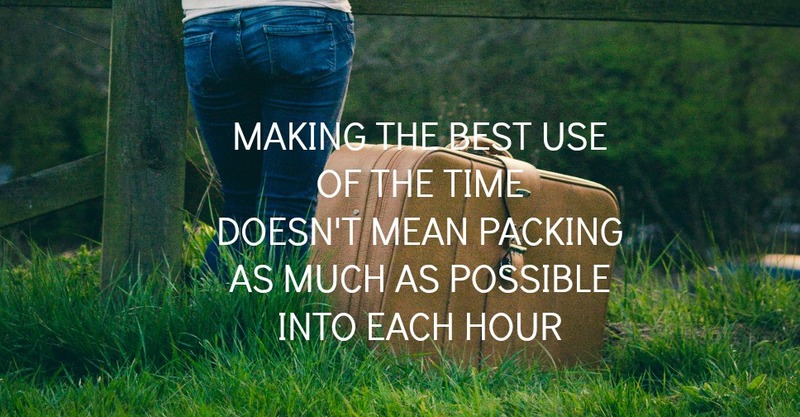 —and interpret “making the best use of the time” as packing as much as possible into each hour. I filled my calendar like I was stuffing clothes for a three-week vacation into a carry-on bag. My to-do list was as long as a grocery list for hosting a party for one hundred of my closest friends. But my husband’s health crisis forced me to see that I needed a shorter to-do list and a longer “not-to-do” list. God showed me that making the most of my time didn’t necessarily mean stuffing more into my day, but eliminating distracting activities to focus on what is truly important. So I resigned from a leadership position, gracefully left a club, and said no to a weekly study group. I concentrated on the work I needed to do and to helping my husband recover. Now that my husband is in remission, I am trying not to go back to my usual mode of operation. I am trying to live my life focusing on the essential instead of dividing my attention between a million distracting activities. I encourage you to do the same. Life is short and we want to use it well. There are many good things that we can do with our time, but we want to choose the best. To do this I suggest making a list of all the things you do. Write down everything on your schedule. Why am I doing this? 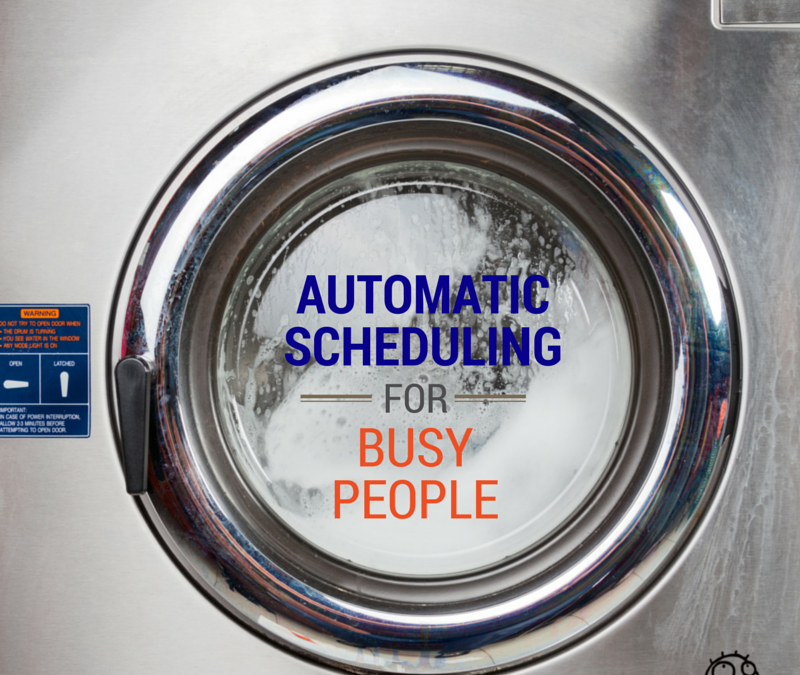 Discovering your motives may make it easier to find what is non-essential in your schedule. Reflect: Am I doing this to keep up with my friends? Is this pursuit simply an ego boost? After you have examined each activity, compile a NOT-To-Do List—an inventory of the things that you now see are unnecessary or the endeavors God is asking you not to pursue right now. By eliminating the items on your NOT-To-Do List you will achieve a greater probability of successfully completing the items on your TO-do list. Find focus. Find peace. Ask God to help you make the most of your time by deleting the trivial and keeping the essential. 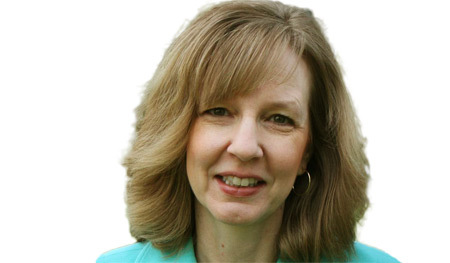 Sharla Fritz is a Christian speaker and author of four books including Soul Spa: 40 Days of Spiritual Renewal. If you would like to find out more about living a life of focus instead of distraction, download a free lesson on “The One Thing You Need to Do for a More Focused Life” here. The following is a guest post by my friend Barb Raveling. She has authored an amazing book that will help you conquer bad habits and achieve meaningful goals. If I were still practicing as a clinical psychologist, I would recommend it to all my clients, so I commend it to you! 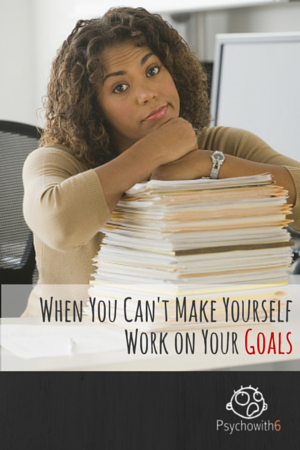 Do you ever have a hard time working on your goals? Is it a struggle to finish this year’s curriculum, keep training for that 5K, or complete that project for work? I know it is for me. For some reason, even though I really want to accomplish my goals, I can’t make myself work on them. It’s too hard, I think. Or I don’t have enough time. Or it’s not fun. Or even, I’ll never succeed anyway, so why bother? When I get into this mindset, I don’t have enough discipline to make myself work. My best hope is to renew my mind so that I actually want to work. I do that by answering questions. Here are 10 questions I ask myself when I’m dreading the very thought of work. What would you like to accomplish today? Be specific. Why do you want to accomplish that? Why don’t you feel like working right now? What do you feel like doing instead? If you ignore your project and do that instead, how will you feel afterwards? What will you have to sacrifice to work on your project? How will you feel when you complete this project and why will you feel that way? When you think of how you’ll feel, is it worth the sacrifice to work on it? Why don’t you do that right now and see how it goes from there? When I ask myself these questions – and usually I do it on the pages of my journal – I find my desires changing so that by the end of the questions, I actually want to do that dreaded project. Here’s an example of how I filled out the questions below to write this guest post. 1. What would you like to accomplish today? Be specific. I would like to write this guest post for Melanie’s blog. 2. Why do you want to accomplish that? Because I told Melanie a long time ago that I would write it and I want to write anyway to help people find out about my new book,The Renewing of the Mind Project. 3. Why don’t you feel like working right now? Because it’s too hard. I don’t know what to write. 4. What do you feel like doing instead? 5. If you ignore your project and do that instead, how will you feel afterwards? I’ll feel defeated. 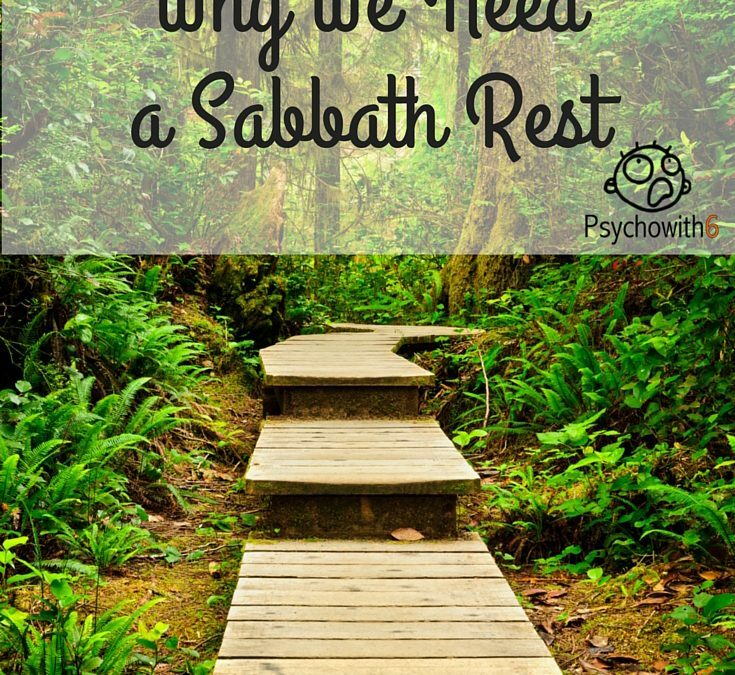 It will reinforce the idea that this guest post is too hard to write and it will make me want to keep putting it off. 6. What will you have to sacrifice to work on your project? I’ll have to sacrifice my comfort, my desire to have the easy life, and my desire to write the perfect blog post since I know I can’t write a perfect blog post! 7. How will you feel when you complete this project and why will you feel that way? I will feel incredible because this to-do item has been on my weekly to-do list for three months now! It will feel so good to cross it off my list and not have it hanging over my head! 8. When you think of how you’ll feel, is it worth the sacrifice to work on it? 10. Why don’t you do that right now and see how it goes from there? I did that and it took about 30 minutes to write the post I had been procrastinating for two months! If you struggle with procrastination like I do, I hope you’ll give these questions a try. If you’d like more questions like this to journal through, check out The Renewing of the Mind Project. 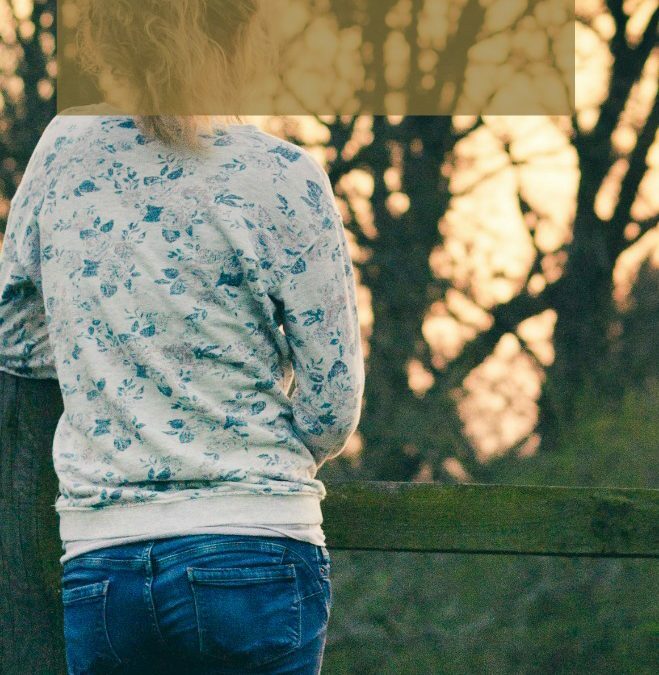 It’s filled with 48 sets of questions and Bible verses to help you with pursuing goals, starting habits, stopping habits, and letting go of negative emotions such as anger, worry, insecurity, and stress. It can also be used as curriculum for a Christian growth group or personal study for older teens and adults. 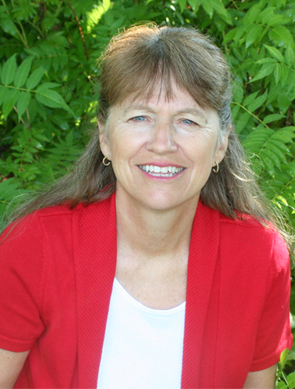 Barb lives in Montana with her husband after homeschooling her four children for 21 years. In her spare time, she likes to camp, ski, hike, read, and hang out with family and friends. Barb Raveling is also the author of Freedom from Emotional Eating and I Deserve a Donut (And Other Lies That Make You Eat). She blogs about the renewing of the mind at barbraveling.com. I get it. You have so many posts coming into your inbox or feed reader and you can’t get to them all. 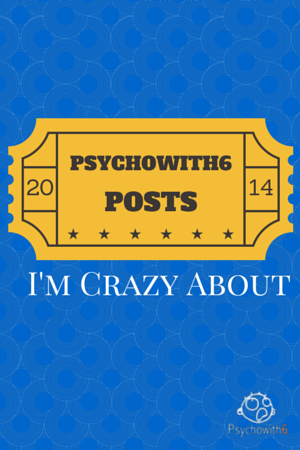 I’ve already shared the top 10 posts from Psychowith6 for 2014, but that list doesn’t include some of my favorite posts. If you have missed any of these, I’ll give you a good reason to click through and read. It never ceases to amaze me when people say they see me as being better than I really am. I’ve gotten some great feedback from homeschooling families who can relate to what I share in this post. And the truth is, I’m not even airing the really dirty laundry! I’m not a perfect homeschooler, but homeschooling is perfect for me. I watched an Andy Stanley Bible study video that really motivated me not to wait on what matters. I was so inspired that I summarized the truths into a one-page poster that anyone can use to get motivated every day. Reading it can be like taking a vitamin–it’s good for you! I love books that help me to simplify my life. My m.o. seems to be to make it complicated. Choosing just one thing in each area of my life to focus on gives me so much peace. I was thrilled to figure out how to create a form for tracking this way of thinking about tasks. If you crave more simplicity like I do, I recommend you take a peek–even if the form isn’t your cup of tea. Does it make sense to do what everyone else does so you get the results everyone else gets? I don’t think so! This post may inspire you to do the opposite of what you’re doing or simply to be proud that you’re doing things your own way because it works! This is such a fun book for kids to read and I was surprised when a real life Mr. Popper helped us with our homeschooling. I think your kids will enjoy this post even if they haven’t yet read the book. I love to pin single posts that collect a lot of valuable resources in one place, so I created one. Pin this for later and you’ll have access to all kinds of goodies to make your kids better readers and writers. Did I miss any of your favorites here? I love hearing from readers. Be sure to check out the other iHomeschool Network bloggers’ favorite posts from 2014. 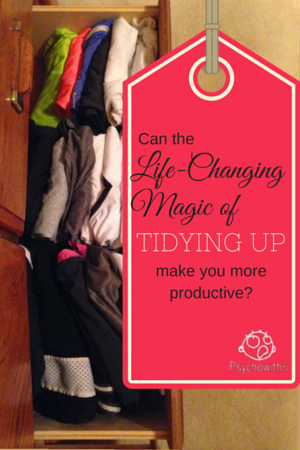 Can the Life-Changing Magic of Tidying Up Make You More Productive? I know. You’ve read it all before and you’ve seen it on TV. You know that you can’t get the most out of life if you have too much stuff. But you’re no hoarder. Sure, your closet and drawers and craft spaces are a bit cramped, but you’re not one of those people who never gets rid of anything. That was pretty much my attitude until I read the book Organizing Solutions for People with ADHD that I described in my favorite productivity books of the year post, I was completely enamored with its focus on practicality rather than Pottery Barn-beauty. After all, if it’s too much trouble to get something out of its pretty little container, you won’t use it. And if it’s too much trouble to put it back, your space will be messy in a hurry. That was me, so I was inspired to get rid of a lot of my excess stuff. 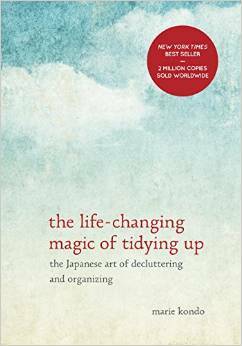 Then I read (or more specifically listened to) The Life-Changing Magic of Tidying Up and I was a declutterer on steroids. Here is why the book is not only helping me purge my home, but is helping me be more productive. First, let me say that the spiritual aspect of the book is not for me and won’t be for most of my readers. My friend characterized it as anthropomorphic. Indeed. The author thanks objects for their service, for example. I’m all about gratitude, but I will give gratitude to Whom it is due. The majority of the woo-woo stuff is at the end of the book, thankfully, and by then you’ve come away with some real inspiration for simplifying your home and life. #1 I’m only keeping things I love. The change that question has made is remarkable. Where I used to ask if it was “still good,” I now follow up the do-I-love-it question with “Will I wear it?” The result is I have donated or thrown away half my clothing. I was hanging on to thong underwear that I HATED, for heaven’s sake. Why? Because I had room for it. I knew I would never wear it, but I hadn’t asked myself honestly if I would. The second example was a formal dress I wore to our niece’s wedding. I wore it to a formal event for my husband’s business meeting out of the country as well. As I was packing it to take home, I realized that though I love the dress, I wouldn’t wear it again. The next formal occasion will likely be a family or business event and I won’t want to wear the same dress. I will want to buy new. So I donated the dress. How does this apply to productivity? First, I’m already enjoying a time savings. I didn’t realize until I got rid of so much clothing how much time I spend deciding what to wear. I’m a pretty decisive person, but when you go through things that you don’t like for one reason or another, it wastes time. Now I know that I love everything in my closet. As long as it’s appropriate for the season, I can grab and go and be happy. The second way it applies is in principle. Just as I am not hurting for clothing, I am not hurting for free time. I do not work in a factory 12 hours a day. I don’t walk hours to get water. I am swimming in free time compared to many. So why am I spending time doing things I don’t love doing? Now don’t get me wrong. We all have to do things we don’t love doing. We have responsibilities or we can’t afford to delegate the things we don’t like to do. I’m not talking about that. I’m talking about discretionary time. Shouldn’t it be spent doing things you really love? In the same way I asked myself if I would wear something, I am asking myself if I’m going to do it any time soon. If not, I don’t really love it (at least not right now). It needs to get off my calendar and my to-do list. #2 My family is only keeping things they love. The author is pretty clear on not purging for someone else (though I’ve done it without the items being missed…). Instead, I decided to teach the kids what I’d learned. I encouraged them to go through all their clothes and only keep things they really loved and were sure they would wear. I was in awe of what happened. The kids gave away brand new clothes I had purchased for them. In the past, I would have encouraged them to start wearing these clothes so I wouldn’t feel like a fool for buying them. But it had never worked anyway. I learned that no matter how much my boys want me to shop for them, I won’t do it. They will be coming to the store, choosing clothing, AND trying it on. They ended up keeping only the clothes I see them wearing. My husband hung out in the bedroom with us while we went through clothes. It so happens that he keeps clothing in half the boys’ closet. He has had some of the clothes there for at least 25 years! I have NEVER been able to get him to part with them, though he doesn’t wear them. This time I asked him if he loved each piece. He insisted on touching most of the clothes (just as the author suggests) and he got rid of more clothing in half an hour than he has our entire married life! I applied the same principle to the kids’ books. If they didn’t love them and weren’t going to read them, I had them remove them from their bookshelves. Now know that I’m a book lover. Some of the books I rescued to go on the future grandma shelf. The fact is that I do love some of those books and do plan to read them again. So that counts. First, I’m saving myself some time. The younger boys protest each week that they don’t have anything to wear to church. Why? Because they have too many clothes. They can’t decide. Now that their closets hold only clothes they will actually wear, I don’t have to run to the rescue every week. This time savings will continue to accrue as I purge more and more of our unloved things. We will have half the mess to clean up! Second, I’m teaching my children a principle that will serve them well as they manage their own responsibilities. #3 I’m folding clothes the right way. I thought I WAS folding clothes the right way. I had purchased these folders for the kids that allowed them to put clothing neatly away. But it turns out that I was making more work for myself. Not only does folding the traditional way obscure what you own (so you end up buying more stuff than you need), but it makes a big mess when you remove something from the drawer. Here is a demonstration of how to fold shirts the right way! The graphic at the top of this post shows my workout clothes drawer with everything folded using this method. The bottom part of the drawer is folded more loosely because I don’t have as many shorts I love as shirts. I still have quite a few shirts, but I love and will wear them all. Promise! One thing I have noticed, though, is that I do go back and remove something I thought I wanted to keep. You will, too. The kids took to this method immediately and love having organized drawers. In fact, their drawers look so empty that they didn’t make for good photos! First, I save time choosing clothes from my drawer and putting them away. I also don’t have to get on the kids as much about getting their laundry put away. Second, I am realizing how important it is for everything to have an accessible space. That goes for tasks, too. One of the hacks I shared is to make sure your work space is comfortable. 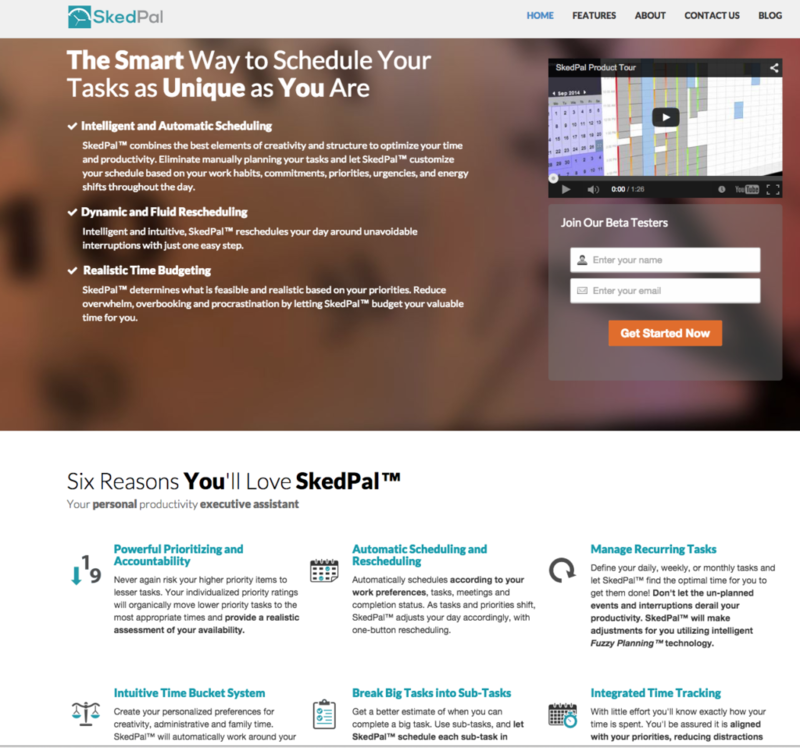 Make sure your tools are easy to use and put away and you will be motivated to get more done. I actually enjoy putting my clothes away and I enjoy writing every morning because the space is accessible. So what do you think? Could the Life-Changing Magic of Tidying Up make YOU more productive? Be sure to follow my Organization and Productivity board on Pinterest! 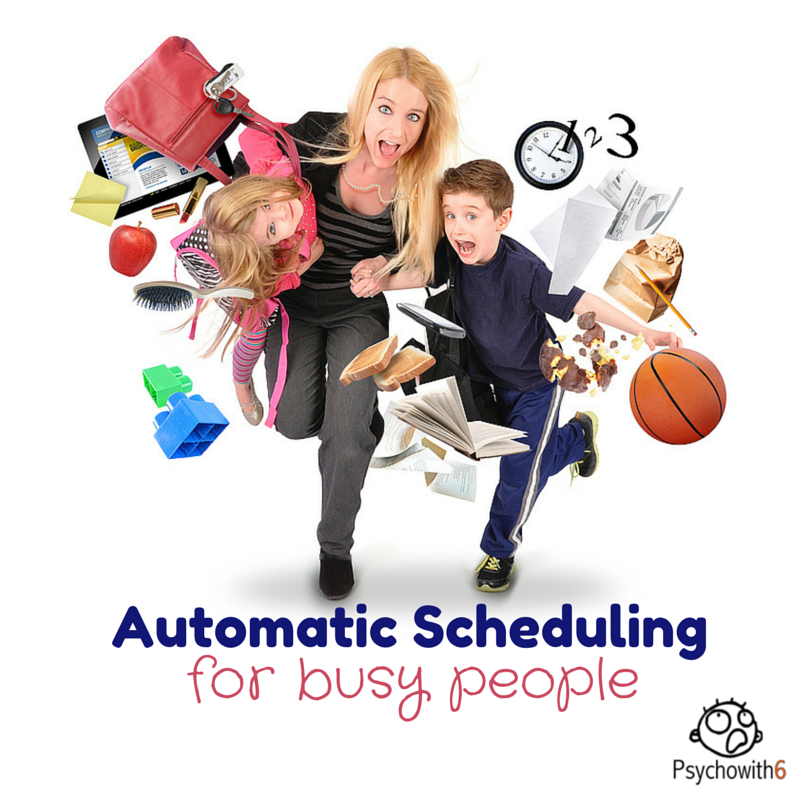 Follow Dr. Melanie Wilson @psychowith6’s board Organization & Productivity on Pinterest.